Alibaba stock is frequently compared to Amazon.com Inc. (Nasdaq: AMZN) stock because both companies are each the biggest e-commerce companies in their home countries. 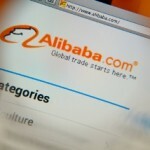 But Alibaba Group Holding Ltd. (NYSE: BABA) has a very different business model from Amazon. 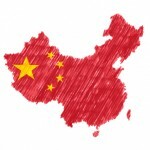 Alibaba Group Holding Ltd. (NYSE: BABA) stock has hit the ground running since its IPO. At today's (Tuesday's) opening price, it's up 69% from its offer price of $68. Demand for BABA shares has been high. Since its debut, BABA has averaged 34 million shares traded per day. And yet, most investors still aren't aware of Alibaba's greatest strength. Retail investors aren't the only ones snatching up shares of Alibaba Group Holding Ltd. (NYSE: BABA) stock. In Q3, Alibaba was the most purchased new stock among hedge funds. Now, institutional investors hold more than 227 million BABA shares. Nov. 11 was "Singles' Day" in China, and more than $9.3 billion was spent over Alibaba Group Holding Ltd.'s (NYSE: BABA) network of sites. In just 24 hours, Alibaba processed more than 278 million orders. That's more than was spent in the entire U.S. last Thanksgiving, Black Friday, and Cyber Monday combined. It's Singles' Day in China and customers are celebrating early - which is huge for Alibaba stock. In fact, more than $1 billion was spent over Alibaba Group Holding Ltd.'s (NYSE: BABA) network of sites during the first 17 minutes of the day. To Americans the holiday means nothing. But to those investing in Alibaba stock, it's the biggest day of the year. 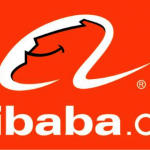 The Alibaba Group Holding Ltd. (NYSE: BABA) stock price reached another all-time high of $103.80 today (Tuesday) after the company reported quarterly earnings. Alibaba officials reported earnings per share (EPS) of $0.45, which matched consensus estimates. Revenue was $2.74 billion, which beat estimates of $2.64 billion. Revenue was up 54% from last year. Alibaba Group Holding Ltd. (NYSE: BABA) stock closed Monday up 3.3% at $101.80, the final closing price before the firm's first earnings report as a public company comes out before Tuesday's bell. BABA reached an all-time high of $102.80 earlier Monday morning. Alibaba officials will announce Q3 earnings before the bell on Tuesday, and analysts are predicting earnings per share (EPS) of $0.45.